Beginning on Monday, March 26th, the U.S. Supreme Court heard six hours of oral argument spread over three days in the case of The Department of Health and Human Services v. Florida. The case involves 26 states who are challenging the constitutionality of the Patient Protection and Affordable Care Act, commonly known as Obamacare. The Court focused its inquiry on Monday on whether or not it was able to decide on the larger issues in the case in light of the Anti-Injunction Act of 1867. The act prohibits tax issues from being challenged prior to the tax taking effect, and the issue before the court involved whether the penalty to be imposed for failure to purchase health insurance was a tax. On Tuesday, the Court heard arguments regarding one of the act’s central provisions-the individual mandate. The Court questioned attorneys regarding the power of Congress to require individuals to purchase insurance under the commerce clause. On Wednesday, the Court turned its attention to two further issues: whether the remainder of the act could be allowed to stand if the mandate was struck down, and whether the expansion of the Medicaid program was a proper exercise of congressional power. The Supreme Court’s decision in this case is expected near the end of June. Until then, you can brush up on the arguments presented by both sides. 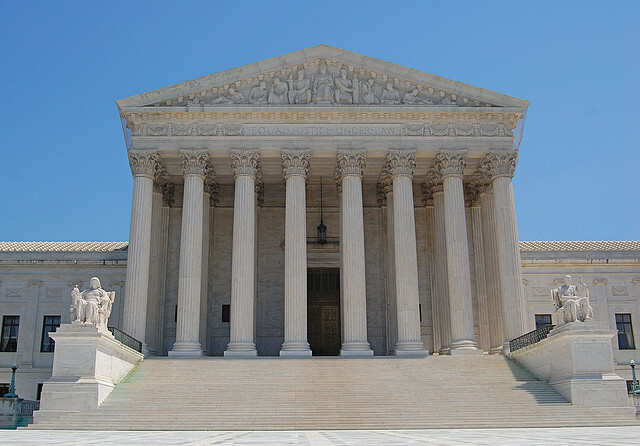 Audio recordings of the arguments are available at the Supreme Court’s website. You can also click here for transcripts of these recordings. Additionally, C-SPAN has extensive coverage of the issue, including audio recordings. ← Is Facebook a Digital Asset?